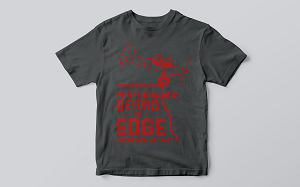 Our S-21 Outbound t-shirts (pictured above) are back in stock, and available to order! They range in sizes from small to 3XL in limited quantities, so be sure to pick one up as soon as possible! Our new 2017 RANS Fly-In shirts (pictured below) will be available at the fly-in, and will soon be available to order online! Stay tuned. The Aircraft Tool Kit (below) is ideal for kit builders who plan to assemble sheetmetal aircraft like the RANS S-21 Outbound. It comes complete with a top quality pneumatic blind riveter, a swivel-head riveter, fluting pliers, an edge forming tool, and more!